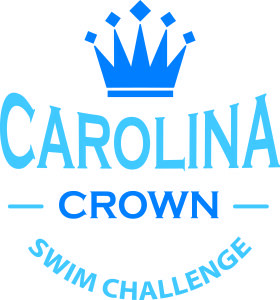 The fifth annual Carolina Crown Swim Challenge will be held on Saturday, April 27, 2018 at the Mecklenburg County Aquatic Center in Charlotte, NC. The meet features top 15-18 year-old athletes from North Carolina and South Carolina divided into four teams. The Carolina Crown is a long course meet with athletes invited to participate based on performance during the 2018-2019 short course season. A list of qualifying athletes will be posted shortly. Selected athletes who wish to attend – whether an automatic qualifier or a consideration qualifier MUST SUBMIT AN APPLICATION FORM AND MAIL A CHECK FOR $80 TO THE ADDRESS BELOW BY 6:00 PM, APRIL 3, 2019. 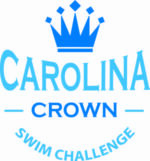 The third annual Carolina Crown Swim Challenge will be held in Rock Hill, South Carolina on Sunday, April 30th. The meet features top 15-18 year-old athletes from North Carolina and South Carolina. The event is held in South Carolina and North Carolina in alternating years. A list of selected athletes will be divided into four teams in a long course meet.